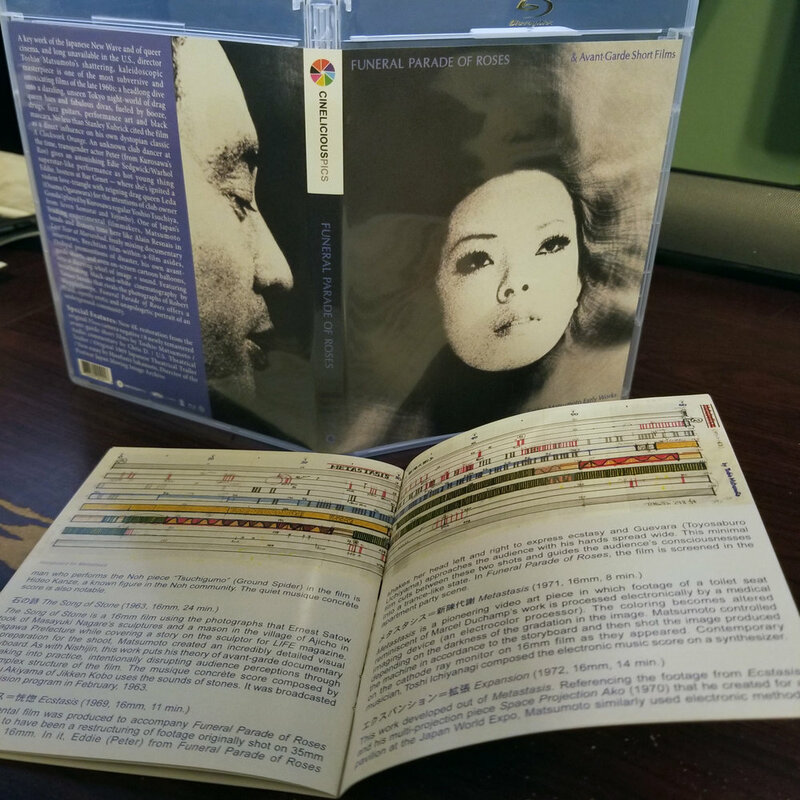 FUNERAL PARADE OF ROSES Blu-ray Release Party! Sunday November 12th we're hosting a release party for the new Blu-ray release of FUNERAL PARADE OF ROSES from our friends at Arbelos Films! We'll be selling the Blu-ray of the film plus a limited edition poster while supplies last! Also for sale for a discounted price, will be all the other Arbelos Films releases including BELLADONNA OF SADNESS, GANGS OF WASSEYPUR PART 1 & 2, AGNES VARDA 2 FILM SET, PRIVATE PROPERTY, and GIUSEPPE MAKES A MOVIE! Free adult sodas for all! Check out some images and screencaps from the film and RSVP below! By filling out this form, you agree to receive awesome e-mails from CineFile Video and Arbelos Films!